A rapid, one step test for the qualitative detection of Adenovirus in human feces. For professional in vitro diagnostic use only. The Adenovirus Rapid Test Cassette (Feces) is a rapid chromatographic immunoassay for the qualitative detection of Adenovirus in human feces specimens to aid in the diagnosis of adenovirus infection. Acute diarrheal disease in young children is a major cause of morbidity worldwide and is a leading cause of mortality in developing countries.1 Research has shown that enteric adenoviruses, primarily Ad40 and Ad41, are a leading cause of diarrhea in many of these children, second only to the rotaviruses. These viral pathogens have been isolated throughout the world, and can cause diarrhea in children year round. Infections are most frequently seen in children less than two years of age, but have been found in patients of all ages. Further studies indicate that adenoviruses are associated with 4-15% of all hospitalized cases of viral gastroenteritis. Rapid and accurate diagnosis of gastroenteritis due to adenovirus is helpful in establishing the etiology of gastroenteritis and related patient management. Other diagnostic techniques such as electron microscopy (EM) and nucleic acid hybridization are expensive and labor-intensive. With the self-limiting nature of adenovirus infection, such expensive and labor-intensive tests may not be necessary. The Adenovirus Rapid Test Cassette (Feces) is a rapid chromatographic immunoassay for the qualitative detection of adenovirus in human feces specimen, providing results in 10 minutes. 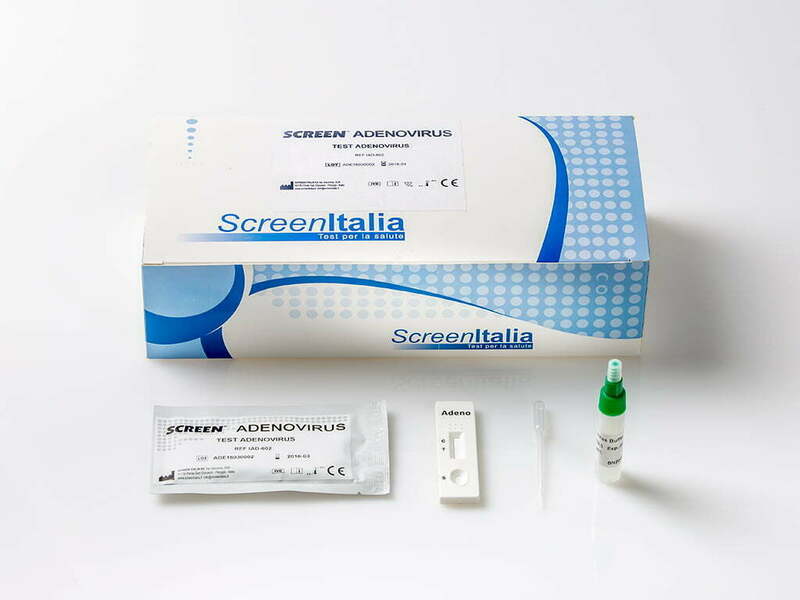 The test utilizes antibody specific for adenovirus to selectively detec adenovirus from human feces specimens.